Paul Pierre Broca (June 28, 1824 – July 9, 1880) was a French physician, anatomist, and anthropologist. He is famous for his work on brain lateralization, and the discovery of the center for speech, named the “Broca area.” His work revealed that the brains of patients suffering from aphasia contained lesions in a particular part of the cortex, in the left frontal region. This was the first anatomical proof of the localization of brain function. Broca's work also contributed to the development of physical anthropology, advancing the science of anthropometry. His work involved research on primate brains, and the connection between the anatomical features of the brain and mental capability, particularly intelligence. Through his work, understanding of brain function and the effects of damage to particular areas was greatly increased. As Broca recognized, understanding the functioning of the physical brain contributes to understanding of mental abilities, including the capacity for uniquely human thought and creativity. Such knowledge is significant in allowing each individual achieve their potential as a unique human being. Paul Pierre Broca was born on June 28, 1824, in Sainte-Foy-la-Grande, Bordeaux, France, the son of Benjamin Broca, a medical practitioner and former surgeon in Napoleon’s service. Broca’s mother, known for her sharp intelligence, was the daughter of a Protestant preacher. Broca received basic education in the school in his hometown, earning the diploma as Bachelier des letters at the age of 16. He entered medical school in Paris when he was 17, and graduated at 20, when most of his contemporaries were just beginning as medical students. After school, he did extensive internship, first with urologist and dermatologist Philippe Ricord (1800–1889) at the Hôpital du Midi, then in 1843 with François Leuret (1797–1851) at the Bicêtre. In 1844, he succeeded to become an intern with Pierre Nicolas Gerdy (1797–1856), a great anatomist and surgeon. After two years with Gerdy, Broca became his assistant. In 1848, Broca founded a society of free-thinkers, sympathetic to Charles Darwin's theories. Broca was rather inspired with the whole idea of evolution. He once proclaimed, “I would rather be a transformed ape than a degenerate son of Adam” (Sagan 1986). This brought him in conflict with the church, which described him as a subversive, materialist, and corrupter of the youth. The church’s animosity toward him continued throughout his lifetime, resulting in numerous direct and indirect confrontations between Broca and church authorities. In 1848, Broca became prosector of anatomy at the University of Paris Medical School, the youngest person ever appointed to the position. 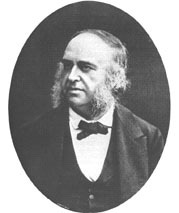 He also became secretary of the Société Anatomique. In 1849, he was awarded the degree of doctor of medicine. In the early 1850s, he performed the first experiments in Europe using hypnotism as surgical anesthesia. In 1853, Broca became professor agrégé, and was appointed Chirurgien des hôpitaux. He was elected to the chair of pathologie externe at the faculty of medicine in 1867, and one year later professor of clinical surgery. In 1868, he became a member of the Académie de medicine, and was appointed the chair of clinical surgery. He served in this capacity until his death. He worked for the Hôpital St. Antoine, the Pitié, the Hôtel des Clinques, and the Hôpital Necker. Parallel to his medical career, Broca pursued his interest in anthropology. In 1859, he founded the Anthropological Society in Paris, which was the world's first society in anthropology. He served as the secretary of the society from 1862. In 1872, he founded the journal Revue d'anthropologie, and in 1876, the Institute of Anthropology. The church opposed the development of anthropology in France, and in 1876 organized a campaign to stop the teaching of the subject in the Anthropological Institute. Near the end of his life, Paul Broca was elected a lifetime member of the French Senate. He was also a member of the Académie Française and held honorary degrees from many other learned institutions, both in France and abroad. Broca died on July 9, 1880, at the age of 56. He was succeeded by his wife and two sons, who both become distinguished professors of medical science. Paul Broca’s early scientific works dealt with the histology of cartilage and bone, but he also studied the pathology of cancer, the treatment of aneurysms, and infant mortality. As a neuroanatomist, he made important contributions to the understanding of the limbic system and rhinencephalon. He also wrote on Darwinism (known as "transformism" in France), and took an interest in physical anthropology. In his later career, Broca wrote on public health and public education. He engaged in the discussion on the health care for the poor, becoming an important figure in the Assistance Publique. He also advocated for women’s education and its separation from the church. He opposed famous Félix-Antoine-Philibert Dupanloup (1802–1878), Roman Catholic bishop of Orléans, who wanted to keep control of women’s education. One of Broca’s major areas of expertise was the comparative anatomy of the brain. His research on the localization of speech led to entirely new research into the lateralization of brain functions. This area of study was what led to Broca's greatest fame. Broca is most famous for his discovery of the speech production center of the brain (now known as Broca's area). He arrived at this discovery by studying the brains of aphasic patients (persons with speech and language disorders resulting from brain injuries), particularly the brain of his first patient in the Bicêtre Hospital, Leborgne (nicknamed "Tan," due to his inability to clearly speak any words other than "tan"). In 1861, through post-mortem autopsy, Broca determined that Tan had a lesion caused by syphilis in the left cerebral hemisphere. This lesion was determined to cover the area of the brain important for speech production. Although history credits this discovery to Broca, it should be noted that another French neurologist, Marc Dax (1771–1837), had made similar observations a generation earlier. Broca first become acquainted with anthropology through the works of Isidore Geoffroy-Saint Hilaire (1805–1861), Antoine Étienne Reynaud Augustin Serres (1786–1868) and Jean-Louis-Armand Quatrefages de Bréau (1810–1892), and anthropology soon became his lifetime interest. He spent endless nights at his Anthropological Institute, studying skulls and bones. In that sense, Broca was a pioneer in the study of physical anthropology. He advanced the science of cranial anthropometry by developing many new types of measuring instruments (craniometers) and numerical indices. Broca also contributed significantly to the field of comparative anatomy of primates. He was very interested in the relationship between anatomical features of the brain and mental capabilities, such as intelligence. He believed, as did many in his time, that man's intellectual qualities could be measured by the size of his brain. However, he did not agree with some of his colleagues who claimed that Caucasians were a superior race, using cranial anthropometry to support their views. Broca maintained a scientific position and refused to support this. When the remains of the Neanderthal man were discovered in 1856, Broca joined the discussion on the nature of Neanderthal. One side claimed that the bones belonged to a congenitally deformed Homo sapiens, while other saw it as a primitive human form. Broca supported the latter view. Like everyone else in his time, Broca had no reason to think that the skulls of living people were trepanned prior to the time of the ancient Greeks. The situation changed dramatically for him and subsequently for scientists around the world in 1867, after he was shown an old Peruvian skull with cross-hatched cuts. This skull came from an Inca cemetery in the valley of Yucay and was shown to him by archaeologist Ephraim George Squier (1821–1888). Careful examination of the Peruvian skull left no doubt in Broca's mind that "advanced surgery" had been performed in the New World before the European conquest. Broca published around 223 papers on general anthropology, physical anthropology, ethnology, and other branches of this field. Broca's area of the brain (part of the frontal lobe of the cortex), which is involved in language processing, speech production, and comprehension is named after Broca. This discovery revolutionized the understanding of how speech is produced, and what effects damage to this area may cause. Although later research has shown that Broca's area is not quite in accordance with the actual localization of the speech, his contributions to our knowledge of the brain were significant. Broca founded the world's first anthropological society in 1859. Broca invented more than 20 measuring instruments for the use in craniology, and helped standardize measuring procedures. Broca's work is also featured in Carl Sagan's book Broca's Brain. Francisco Goya, a Spanish painter, had his skull hidden and not buried with the rest of his body as a direct response to Broca's work in this area. “Pierre Paul Broca.” BookRags.com. Retrieved December 22, 2006. “Pierre Paul Broca.” WhoNamedIt.com. Retrieved December 22, 2006. This page was last modified on 27 January 2019, at 23:22.